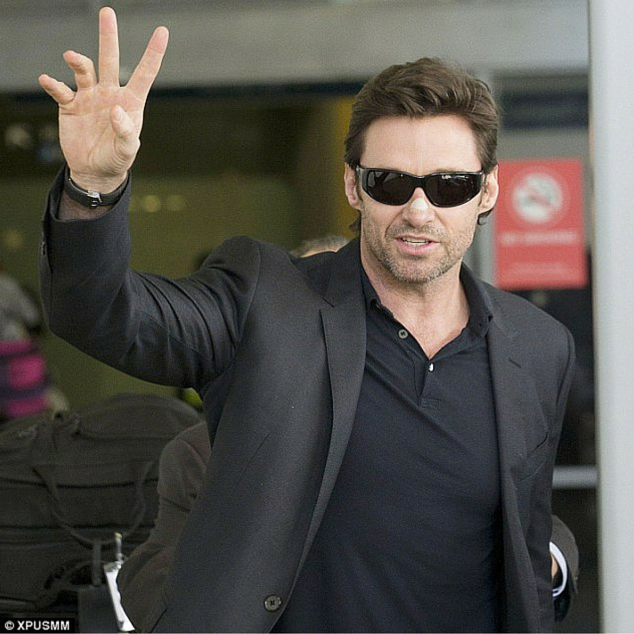 Hugh Jackman Has FIFTH Skin Cancer In Two Years Removed | [All Things Tanning] For Tan Fans! 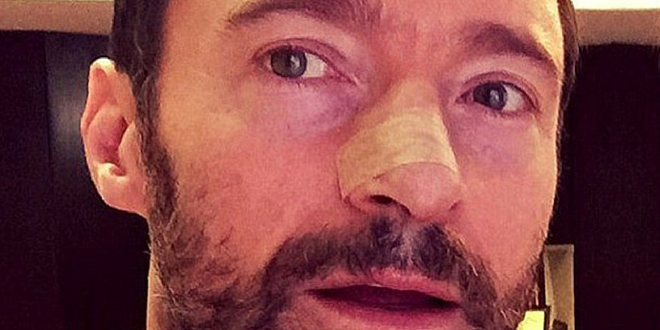 He’s been open in the past about his skin cancer procedures and on Monday Hugh Jackman revealed he’s had yet another growth removed from his nose. It’s the fifth time in two years that the Wolverine star has had a basal cell growth removed from his face. Last May, he revealed he’d had four skin cancers in 18 months and his doctor had warned him he would likely have more in the future. Just eight months after his fourth procedure, the medical prediction has proved to be well-founded. Sun damage. The Australian actor, seen here in Sydney in December 2013 with a Band Aid on his nose, first revealed his skin cancer diagnosis in November 2013. Left: Recurring. 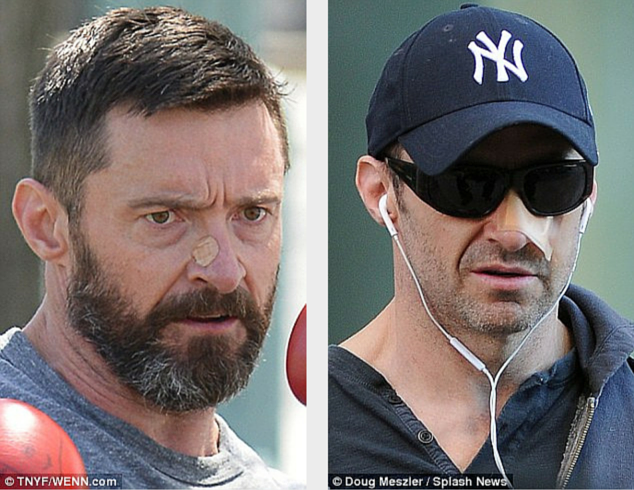 Hugh was also seen with bandages on his face following removal of basal cell carcinomas in May 2014, and Right: October 2014. The 47-year-old first revealed he had some cancerous cells removed in November 2013. 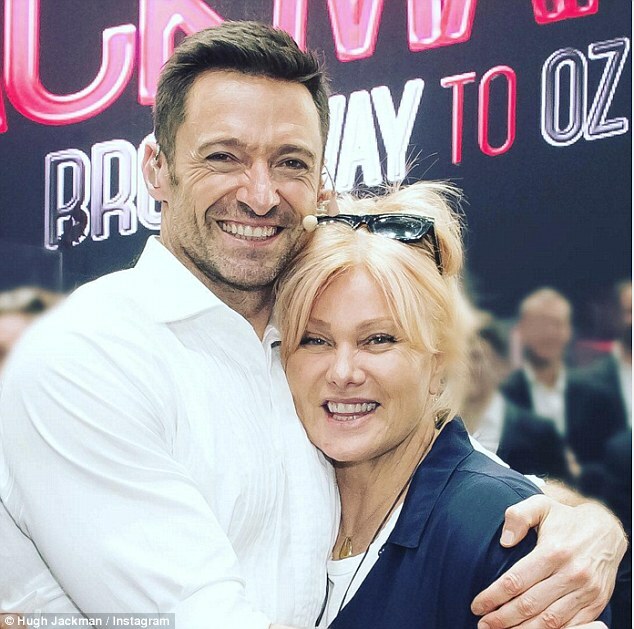 The first time was after a makeup artist noticed a little spot of blood on his nose while he was filming X Men: Days of Future Past and his wife Deborra-Lee Furness, 60, also urged him to get it checked out. Hugh said the second time around he thought he just had a dark freckle but that, too, turned out to be cancerous. The third cancer was found after he noticed blood on his nose again. Cancer-prone. 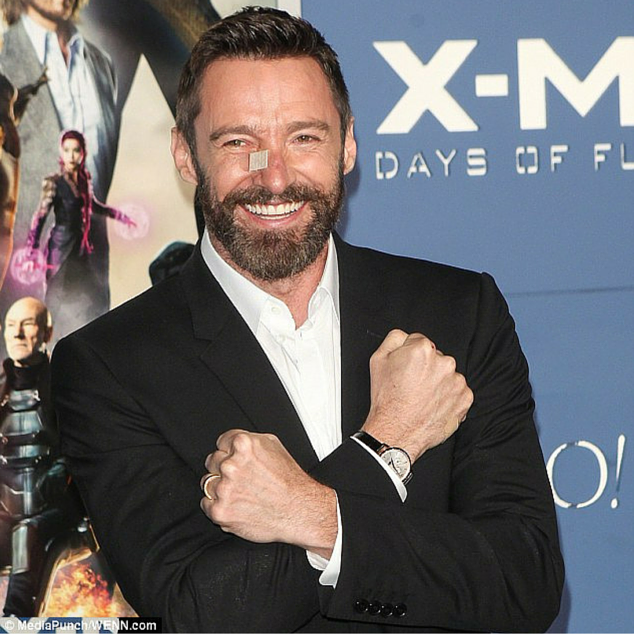 The 47-year-old sported a surgical site as he promoted the 2014 film X-Men: Days Of Future Past. He gets skin check-ups every three months and doctors have warned him he’ll get more skin cancers. He added that he is trying hard to stay positive about his health. Basal cell carcinoma is the most common form of skin cancer, and according to the American Cancer Society, the most common form of cancer in humans. It’s a slow growing cancer and rarely spreads to other parts of the body. The ACF states that about half of those diagnosed with a basal cell skin cancer will develop a new skin cancer within five years. It develops on areas of the skin that are exposed to the sun, mainly on the face and neck. Good move. The actor credits his wife Deborra-Lee Furness, 60, with encouraging him to get his first growth checked out by a doctor and says he’s now proactive about his health.